Argo is an international program that calls for the deployment of 3,000 free drifting profiling floats, distributed over the global oceans, which will measure the temperature and salinity in the upper 2,000m of the ocean providing 100,000 T/S profiles and reference velocity measurements per year. This broad-scale global array of temperature/salinity profiling floats has already grown to be a major component of the ocean observing system. The program has changed the way scientists think about collecting data and provided additional spin off such as how to collaborate internationally and how to develop a data management that can be used for the scientific community. Data is crucial for weather forecast and provides information for climate and the biological ocean. The international Argo community maintains a web portal where the Argo project information is shared. The main objective of the Argo program is to provide a quantitative description of the evolving state of the upper 2000m of the ocean by collecting profiles of temperature and salinity from the surface to 2000m. Argo data is used for initialization of ocean and coupled (ocean atmosphere) forecast models, data assimilation and dynamical model testing. 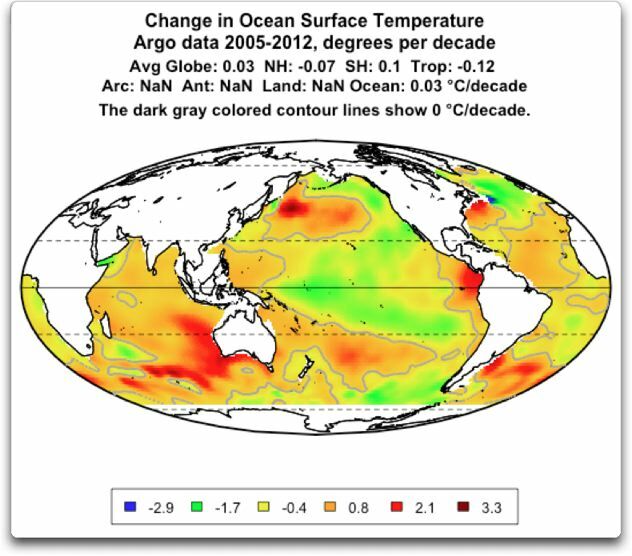 It has been demonstrated that the assimilation of Argo data in the models improved weather and climate forecast. Profiling float data have an enormous range of applications. The more distinctive categories for Argo data use are: educational uses, operational uses and research uses. Argo, the broad-scale global array of temperature/salinity profiling floats, is a major component of the ocean observing system. Deployment of floats began in 2000. Conceptually, Argo builds on the existing upper-ocean thermal networks, extending their spatial and temporal coverage, depth range and accuracy, and enhancing them through addition of salinity and velocity measurements. The name Argo is chosen to emphasize the strong complementary relationship of the global float array with the Jason altimeter mission. For the first time, the physical state of the upper ocean is systematically measured and assimilated in near real-time. Profiling float data have an enormous range of applications. The more distinctive categories for Argo data use are : Educational, Operational, and Research. 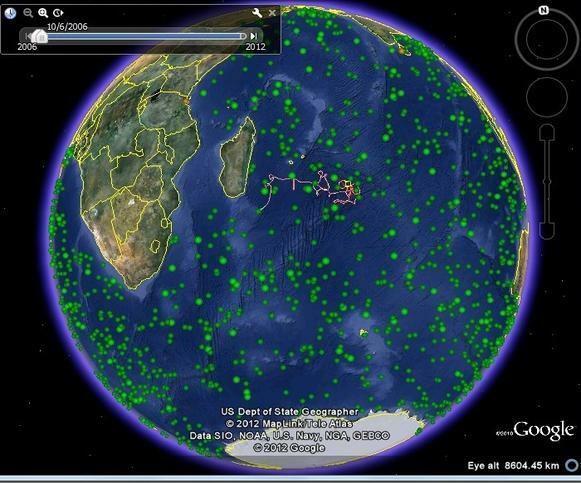 With over 3200 floats reporting free, easy to access data every 10 days, Argo provides a relevant, global ocean data set. The temperature, salinity and velocity data from Argo can teach everything from basic concepts, like the temperature of the ocean and how to read graphs, to more complicated ones like analyzing ocean data over time and climate change issues. A classic approach is developing educational material for classroom use. The target audience for this category is large, encompassing students of all ages (kindergarten through university level). The goal is to have material for all levels. Some materials need computers and internet access, while others do not. Thus, all teachers, no matter their resources, can use Argo data in their classroom. Another approach taken is outreach workshops. 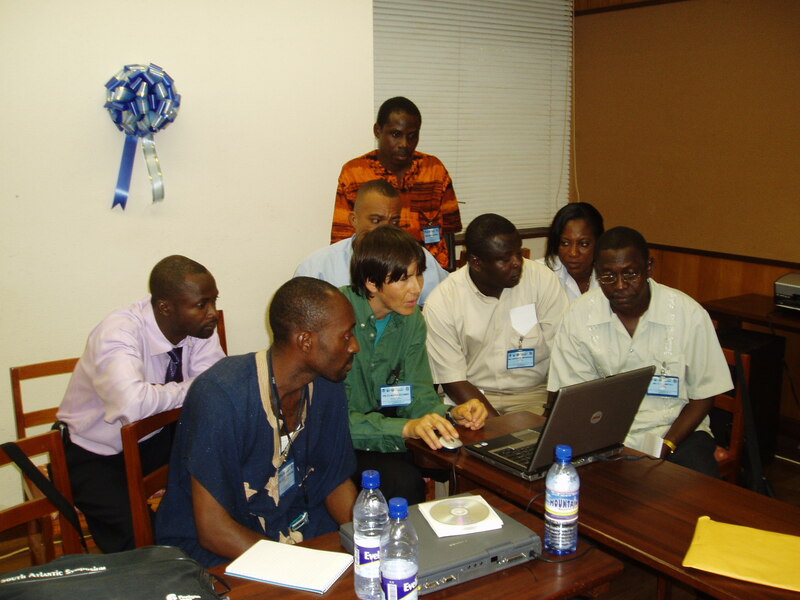 These workshops target the scientific community. Scientists who want to learn more about how to obtain, map, and analyze Argo data are invited to participate. Workshops are organized by groups associated with Argo to address the differing needs generated by the multitude of users around the world. User-friendly online resources, such as in Google Earth and Wikipedia, are developed which allow the public, in general, to educate themselves about Argo. The operational uses are based on the existence of many centers around the world that use Argo data to produce global and regional analyses of subsurface properties because Argo is the most abundant source of subsurface information, (temperature, salinity, velocity) for the global ocean. The availability of these data in real time lends them to use by operational centers involved in the analysis and forecasting of the state of the ocean for weather and climate. The Argo data is used by the international scientific community. With over 3200 floats reporting and more than 10,000 profiles per month being delivered from the Argo array, never before have oceanographers and climate scientists had such a comprehensive subsurface ocean data available for research. Data is assimilated into weather forecast models to improve prediction. More that 200 research papers per year are now being published using Argo data covering a broad range of topics including water mass properties and formation, air-sea interaction, ocean circulation, mesoscale eddies, ocean dynamics and seasonal-to-decadal variability. For further information you can consult Bibliography here.